Welcome Rachel! Everyone’s homeshooling experience is different. What do you think made yours unique? My homeschool experience has been unique because my family is unique. My parents are always thinking up new ideas and hobbies which has passed down to me and my brothers and sister. Also part of my Childhood I lived in the country, town and overseas. So it stretched me and gave me a more global outlook on life and taught me to think outside the box. Being homeschooled gave me a lot of free time to learn about the things that interest me and also taught me to use my time wisely. But interestingly enough my early writing never showed any promise. I also have dyslexia so its quite a miracle my book is readable! I wanted to reach and comfort hurting people and touch lives through my words. The teen years for me were a difficult time and I wanted to use my story and thoughts to strength others and help them see they are not alone and that their struggles and pain matter. I run a online ministry and I needed a tool I could gave people to encourage them. 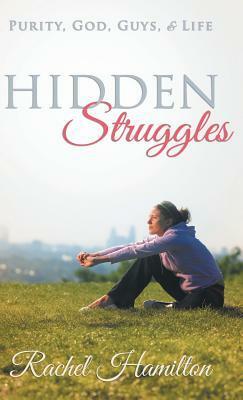 Hidden Struggles is my story and thoughts in the area of purity, waiting on God, relationships, missions and so much more. Who will enjoy Hidden Struggles? My readers are all ages but I believe Christian young women, teens to young adults will find the most encouragement through it. Absolutely, the question is more which one should I write next as I have so many in my head. Writing is a huge passion of mine and I hope to bless someone through my experiences. I am the most unlikely person to write a book, but if I can do it anyone can, so to those who are not yet published but dream of it, don't give up hope! You can do it! This is awesome, Rachel! Your book looks great!